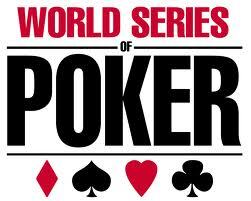 This article is number 11 in a series covering the most important tournaments in the 2011 WSOP. Poker has become a sought-after game for most of casino goers. You may have only heard of No Limit Texas Hold’em poker game as it is the most popular and common poker variation played on prestigious poker tournaments like WSOP. But poker comes in a variety of styles and sizes making it a game of skills and talent. Over time, it has revolutionized into different poker variations. Besides, WSOP is not just all about events of different poker variations; it also organizes events that are a combination of up to eight poker variation called The Poker Player’s Championship. Find out how this came to be. In response to the higher buy-in poker event requested by professional poker players, WSOP established H.O.R.S.E $50,000 poker event in 2006, of which the winner will be called the True World Champion of Poker. Following the end of the 2009 season, the organizing officials of WSOP decided to amend the game format making it an 8-game poker event presently called The Poker Player’s Championship. This new event was introduced in 2010 WSOP season and was considered as the most difficult field in the tournament featuring 2-7 Triple Draw Lowball, Limit Hold’em, Omaha Hi-Low 8 or Better, Razz, 7 Card Stud, 7 Card Stud 8 or Better, No Limit Hold’em and Pot Limit Omaha. The final match will be played with No Limit Hold’em. Let us take a look on the turnout of this new event last year. The 2010 WSOP marked the entry of the $50,000 buy-in for The Poker Player’s Championship which was participated in by 116 professional poker players all over the globe. It was scheduled as event #2 wherein Michael David Mizrachi, 30 years old then, took home the shimmering WSOP golden bracelet and $1,559,046 prize money. In 2010 WSOP alone, Michael Mizrachi also finished 5th on the main event. Remarkably, his younger brother Robert Mizrachi, who had also won several WPT and WSOP championship bracelets, also finished 5th in the new event. Other finalists that were beaten by Michael Mizrachi included Vladimir Shchemelev, David Oppenheim, John Juanda, his brother Robert, David Baker, Daniel Alaei and Michael Thuritz. In the 2011 WSOP season, The Poker Player’s Championship will surely be another tough fight among the best poker players which is scheduled as event #55 on Saturday, July 2nd at 5:00pm at the majestic Rio Hotel in Las Vegas, Nevada. Mark your calendar and never miss as The Poker Player’s Championship makes history once again.